The best Dentist in Orange County are experts when it comes to Invisalign. Invisalign is the Orthodontics revolutionary way to help you get even, straight teeth without noticeable, painful metal braces. Virtually undetectable, Invisalign aligners are made of strong, clear plastic that gradually guide your teeth into perfect alignment. Unlike metal braces, they have no wires or brackets. Tooth impressions are made, from which Invisalign develops customized aligners that will slide directly over your teeth. Aligners are typically worn full-time (except when eating or drinking) for 12-48 months. That is no longer than you would wear traditional metal braces. Aligners are replaced every two weeks as your teeth shift into place. 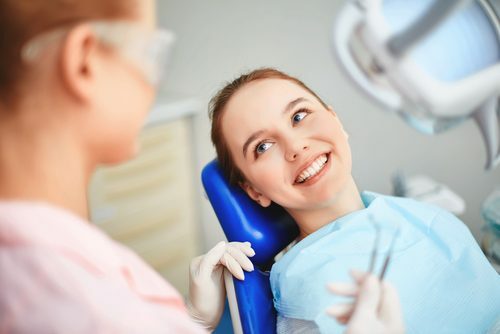 Traditional braces can provide Orthodontics treatment for a wide range of orthodontic problems, including bad bites, crooked or crowded teeth & misalignment. Braces consist of metal brackets that are attached to the teeth & fitted with an arched wire that gently shifts your teeth into the desired position. Having straight teeth doesn’t just mean a beautiful smile. A normal bite reduces the potential for tooth decay, gum disease, tooth loss, poor speech or chewing & jaw problems. Thanks to advances in orthodontic materials, treatment times for traditional braces are shorter than in the past. Traditional metal braces are often the least expensive option for achieving a straight & healthy smile!